Yes, that’s right, planning for Veg Fest III is well underway! 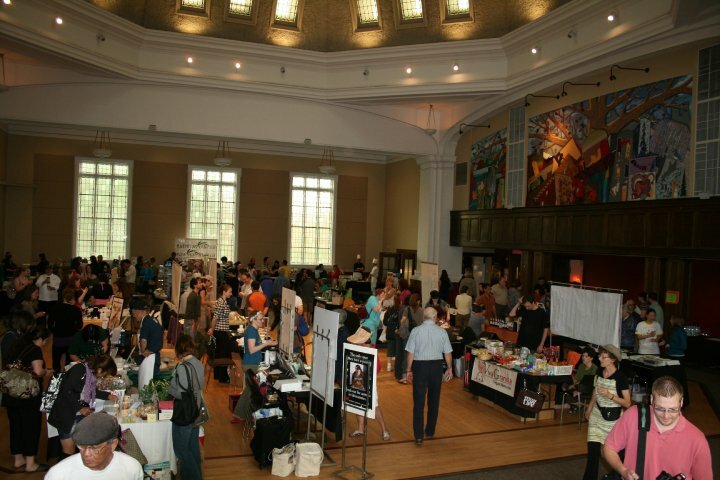 In fact, we’ve nearly sold out our exhibitor space already. Many people have commented on the amazingly positive energy at Veg Fest. If you haven’t been to Veg Fest yet, it’s a can’t-miss event not only for vegetarians and vegans, but for anyone leaning towards a more kind and healthy lifestyle. If you’ve already been, you probably don’t need to be convinced to come again! The NCVA has brought a number of high profile speakers to Veg Fest, providing an important educational component to the event. To listen to the lectures from Veg Fest I and Veg Fest II, you can click here. We’ve moved Veg Fest up a month this year, from the end of May to the beginning of May, to avoid conflicting with the multitude of other major Ottawa events occurring then. It will once again be at the beautiful Glebe Community Centre, 175 Third Avenue, just one block west of Bank Street, and will feature a silent auction with proceeds supporting the NCVA. Veg Fest is Sunday, May 1, and will run from 10 a.m. until 5 p.m. It is once again generously title sponsored by The Table Vegetarian Restaurant. Silver level sponsors include ZenKitchen, Rainbow Foods, Market Organics and Green Earth Vegetarian Restaurant. For more details and a growing exhibitor list, visit our Web site. Auntie Loo: A local cupcake legend. NEW THIS YEAR! Stay tuned for more details about a cupcake contest, for which final judging will occur at Veg Fest, and don’t miss out on your chance to enter! 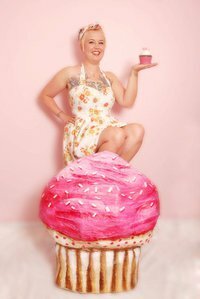 Plans are in the works, and NCVA volunteers have teamed up with the legendary Auntie Loo, as well as Capital Cupcake Camp’s Ian Capstick to create an event intended to showcase the unparalleled deliciousness of vegan cupcakes. We’ll also need plenty of volunteers, so if you want to be a part of something great be sure to get in touch with us at ottawavegfest@gmail.com . Click on the link above to see NCVA president Pamela promote Veg Fest I on A Channel Morning. Leave us a comment: What is your best Veg Fest memory? I really enjoyed Gene Bauer’s lecture last year. He’s a great speaker and farm Sanctuary is just such an inspirational place. Mine happened around 11:30 am, at Veg Fest 1, when I looked around and noticed crowds swelling through the doors and that there was an increasingly excited buzz in the air. I turned to Corrie and was like, “omg people are actually coming! !” It was thrilling, after all our hard work, to see everything come together.